As 2017 draws to a close, I reflected on some of the books I’ve read that offered new insights and perspectives on life and career. 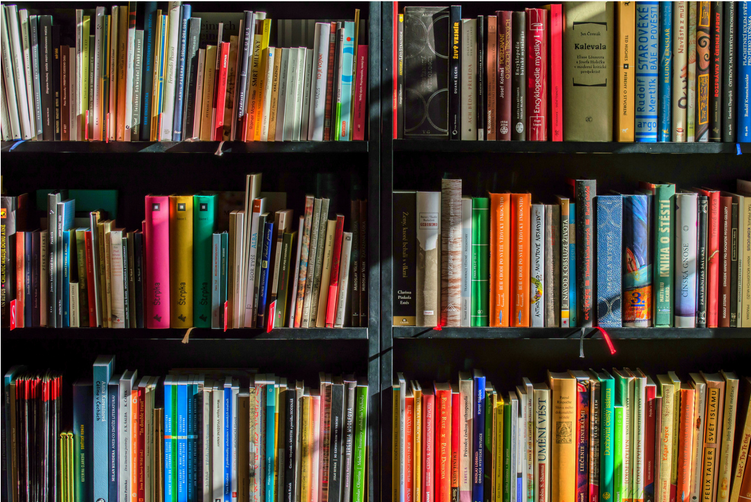 Here are the 10 must-reads I believe have the potential to transform your life and take your business to the next level. In 1975, Ray Dalio founded an investment firm, Bridgewater Associates, out of his two-bedroom apartment in New York City. Forty years later, Bridgewater has made more money for its clients than any other hedge fund in history. Along the way, Dalio discovered a set of unique principles that have led to Bridgewater’s exceptionally effective culture, which he describes as “an idea meritocracy that strives to achieve meaningful work and meaningful relationships through radical transparency.” It is these principles – and not anything special about Dalio – that he believes are the reason behind his success. The book’s practical lessons, which are built around his cornerstones of “radical truth” and “radical transparency,” include the most effective ways for individuals and organizations to make decisions, approach challenges, and build strong teams. Principles offers a clear, straightforward approach to decision-making that Dalio believes anyone can apply, no matter what they’re seeking to achieve. What’s so special about the rich and famous? Unusually successful people often think they’ve done well because of their talent or luck – or simple grit and hard work. But individual characteristics matter far less than the social connections we exploit. And counterintuitively, it’s our weak links — your neighbour’s landscaper or that ad agency guy you happened to meet at your sister’s birthday party last year — that matter most of all. Drawing on research from the fields of sociology, mathematics, and physics, internationally bestselling author and entrepreneur Richard Koch and his co-author Greg Lockwood show how networks impact our everyday lives. Rich with entertaining anecdotes and written in Richard Koch’s trademark conversational style, Superconnect reveals the hidden patterns behind everyday events. Most importantly, it shows how any of us can increase the chances of happy outcomes in our own lives, careers, or businesses. For decades, alarms have sounded about declining employee engagement. Yet companies continue to struggle with toxic cultures, and the low productivity and unhappiness that go with them. Why is ‘culture’ so difficult to change and improve? What makes so many good employees check out? Neuroscientist Paul Zak shows that innate brain functions hold the answers, and it all boils down to trust. When someone shows you trust, a feel-good jolt of oxytocin surges through your brain and triggers you to reciprocate. This simple mechanism creates a perpetual trust-building cycle, which is-the key to changing stubborn workplace patterns. Drawing on his original research, Zak teases out science-backed insights for building high-trust organizations. Whereas employee engagement programs and monetary rewards are merely Band-Aid solutions, Trust Factor opens a window on how brain chemicals affect behavior, why trust gets squashed, and ways to consciously stimulate it by celebrating effort, sharing information, promoting ownership, and more. Imagine a world where almost everyone wakes up inspired to go to work, feels trusted and valued during the day, then returns home feeling fulfilled. This is not a crazy, idealized notion. Today, in many successful organizations, great leaders create environments in which people naturally work together to do remarkable things. In his work with organizations around the world, Simon Sinek noticed that some teams trust each other so deeply that they would literally put their lives on the line for each other. Other teams, no matter what incentives are offered, are doomed to infighting, fragmentation and failure. Why? The answer became clear during a conversation with a Marine Corps general. “Officers eat last,” he said. Great leaders sacrifice their own comfort – even their own survival – for the good of those in their care. From the author and motivational speaker who brought us the bestseller “Start With Why”, Sinek illustrates his ideas with fascinating true stories that range from the military to big business, from government to investment banking. In this candid and riveting memoir, Phil Knight – the man behind the swoosh – shares the inside story of his company’s early days as an intrepid start-up and its evolution into one of the world’s most iconic, game-changing, and profitable brands. In 1962, fresh out of business school and determined to start his own business, Phil Knight borrowed $50 from his father and created a company with a simple mission: import high-quality, low-cost athletic shoes from Japan. Selling the shoes from the trunk of his car, Knight grossed $8,000 his first year. Today, Nike’s annual sales top $30 billion. In his book, Knight details the many risks and daunting setbacks that stood between him and his dream, and recalls the formative relationships with his first partners and employees, a ragtag group of misfits and seekers who harnessed the power of a shared mission and a deep belief in the spirit of sport. In an age of start-ups, Nike is the ne plus ultra of all start-ups, and the swoosh has become a revolutionary, globe-spanning icon, one of the most ubiquitous and recognizable symbols in the world today. It also brought back memories of my own years as a high school track athlete and cross-country runner. In Originals, Adam Grant addresses the challenge of improving the world, from the perspective of becoming original: choosing to champion novel ideas and values that go against the grain, battle conformity, and buck outdated traditions. Using surprising studies and stories spanning business, politics, sports, and entertainment, Grant explores how to recognize a good idea, speak up without getting silenced, build a coalition of allies, choose the right time to act, and manage fear and doubt; how parents and teachers can nurture originality in children; and how leaders can build cultures that welcome dissent. The take-away is a set of ground-breaking insights about rejecting conformity and improving the status quo. Ben Horowitz, cofounder of Andreessen Horowitz and one of Silicon Valley’s most respected and experienced entrepreneurs, offers essential advice on building and running a start-up — some practical wisdom for managing the toughest problems business schools do not cover. While many people talk about how great it is to start a business, very few are honest about how difficult it is to run one. Ben Horowitz analyzes the problems that confront leaders every day, sharing the insights he’s gained developing, managing, selling, buying, investing in, and supervising technology companies. This book is invaluable for veteran entrepreneurs as well as those aspiring to their own new ventures. The initial inspiration for Gladwell’s first book came from the sudden drop of crime in New York City, in which he sought to explain similar phenomena through the lens of epidemiology. While a reporter for The Washington Post, Gladwell covered the AIDS epidemic and took notice that epidemiologists had a “strikingly different way of looking at the world”. The term “tipping point” comes from the moment in an epidemic when the virus reaches critical mass and begins to spread at a much higher rate. Just as a single sick person can start an epidemic of the flu, so too can a small but precisely targeted push cause a fashion trend, the popularity of a new product, or a drop in the crime rate. The tipping point is that magic moment when an idea, trend, or social behavior crosses a threshold – or tips – and spreads like wildfire, and it has changed the way people think about selling products and disseminating ideas. Presence is an intimate look at the nature of transformational change – how it arises, and the fresh possibilities it offers a world dangerously out of balance. The book introduces the idea of “presence” – a concept borrowed from the natural world that the whole is entirely present in any of its parts – to the worlds of business, education, government, and leadership. Too often, the authors found, we remain stuck in old patterns of seeing and acting. By encouraging deeper levels of learning, we can create an awareness of the larger whole, leading to actions that can help to shape its evolution and our future. The book goes on to define the capabilities that underlie our ability to see, sense, and realize new possibilities – in ourselves, in our institutions and organizations, and in society itself. Presence is both revolutionary in its exploration and hopeful in its message.